Technically speaking, the minute you write a song, it's your intellectual property and by default you own the "copyright". In other words it's your creation and you have the right to copy, distribute and sell your creation. After all, it's your property, why wouldn't you? The problem is that if someone were to ever steal your creation and claim it as their own, if you haven't registered your copyright with the US Copyright Office, it can be pretty tricky proving that your song is actually your song. Copyrighting your music is not a pre-requisite per se to licensing your music. You don't have to copyright your music in order to license your music in tv and films. But it's a good idea to do if you can afford the fee, which is currently $35.00 online or $65.00 offline. I really don't hear that many stories of people having their music stolen, but it does happen and the more you're out there pitching your music, the greater the odds of it happening are. By registering your copyright with the US Copyright Office you're creating a legal paper trail that will allow you to prove that a song is yours if someone were to ever try and steal your songs and pass them off as their own. So the bottom line on copyrighting your music is that if you can afford to do it, you should. The chances of someone stealing your music and profiting from it is probably pretty slim, but it could happen, and for just $35.00 (for up to 30 titles) you can buy your self the peace of mind that comes with knowing your songs are protected. Copyright protection rules are fairly similar worldwide, due to several international copyright treaties, the most important being the Berne Convention. Per this treaty, all member countries -- and there are over 100, including practically all industrialized nations -- must afford copyright protection to writers who are residents of any member country. Per the Berne Convention, all member countries must offer copyright protection that lasts for at least the life of the writer, plus 50 years, and must be automatic without the need for the author to take any legal steps to preserve the copyright. In addition to the Berne Convention, the General Agreement on Tariffs and Trade treaty (GATT), contains a number of provisions that affect copyright protection in most industrialized nations. Together, the Berne Copyright Convention and the GATT treaty allow U.S. writers to enforce their copyrights and protect their works in most industrialized nations, and allow the residents of those nations to enforce their copyrights in the United States. 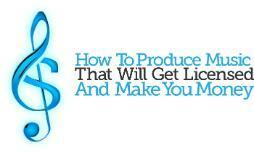 Want to learn even more about how to make money by licensing your music in tv and films? How To License YourMusic.com has a number of exclusive products designed to help you get your music in tv and films. NEW COURSE! How To Make Money With Stock Music Libraries - This is a brand new course led by Canadian based musician Aaron Saloman and faciliated by Aaron Davison. Learn specific techniques for making money with stock and production music libraries. 100 minute audio course and bonus material. 2012 TV/Film Music Business Directory - The most comprehensive directory of contact information for the TV and Film markets on the planet. Period. Over 1000 up to date listings for music supervisors, publishers, music libraries and video game companies. NEW COURSE! How To Produce Music That Will Get Licensed And Make You Money - This is the latest in a new series of master classes on specific niches related to the music licensing niche. This course covers specifically music production and how to produce tracks that are up to industry standards for licensing music in film and television. This course is led by the renowned producer Gary Gary and facilitated by Aaron Davison. The course includes a 90 minute long audio portion as well as an hour long six part video series. The A To Z Of Music Licensing - The original program on music licensing that includes The 2012 TV and Film Music Business Directory, A Songwriter's Guide To Music Licensing Ebook, How To Audio Program,Three Audio Interviews with music licensing professionals, sample contracts and much more! The entire program is accessible online upon checkout. Want to show your support for my website and newsletter?